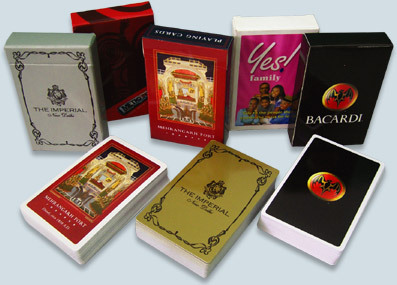 Personalized playing cards at the lowest price guranted. No artwork or graphic fee added. 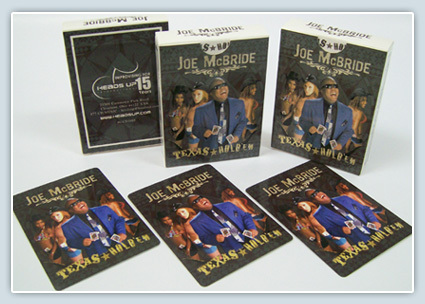 One of today's most popular contemporary jazz musicians, singer songwriter keyboard artist Joe McBride wanted decks of playing cards made for him. Poker and jazz are both very much about using the unknown to your advantage. You’re dealt a certain hand and after that it’s up to you to improvise. Joe McBride is definitely on a roll with Texas Hold ’Em'. Cosmopolitan Magazine wanted decks to be printed in a huge quantity. They wanted perfect finish and that feel of a casino deck. Each card shows magazine covers on the card faces. The card back also shows the magazine cover. This went into re-print twice. And that was not all, as they came up with another deck with 54 different cocktail recipes with pictures shown in detail on the card faces. In terms of both record sales and career longevity, Barry Manilow is one of the most successful adult contemporary singers ever. No doubt he wanted a very good quality personalized playing card deck for the large quantity they wanted to order, and we were chosen for the job. You can depend on us for the quality you need. 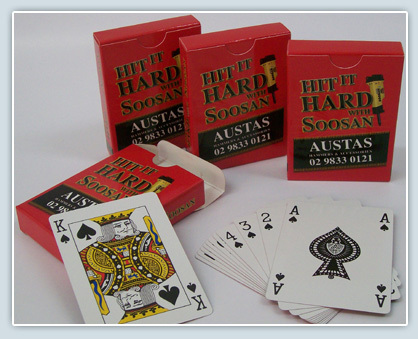 We use European playing card stocks for all playing cards. Most of the cards are printed on gloss coated card stocks. You may take gloss or dull finish with our propriety easy slip finish. Use them for an ongoing promotion. It’s the answer to “How to tempt customers into buying more of your products”. You will find decks inside cartons of liquor bottles. You will find them inside crates of juices. You will find them coming with pizza boxes. Customize both sides of the card for playing cards , Tarot decks, Educational card Games, flash cards. Use our patented Coatings for extra slip. Take high gloss or low gloss finish. Take different sizes as per requirements. 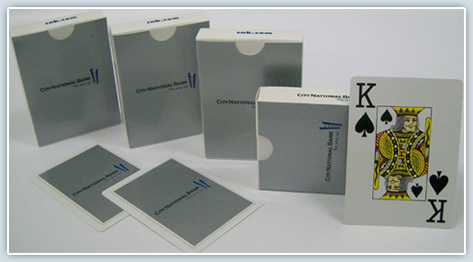 Promotional playing cards have been aggressively used by brand managers to get the eyeballs on their logos, products, services etc. 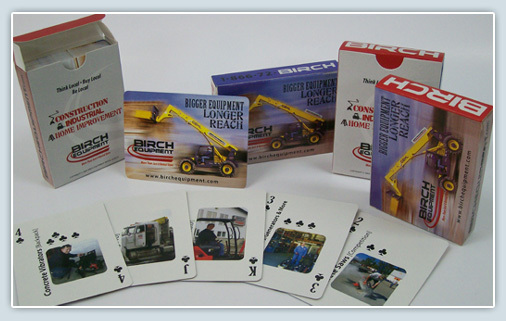 We have made quantities as low as 2000 promotional playing card decks to as many as a million decks (even more) for a promotion. 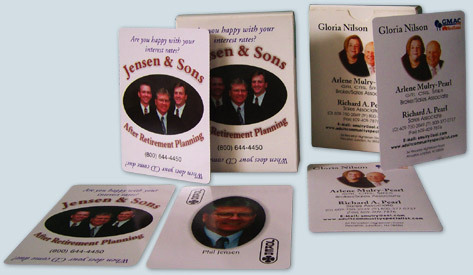 People generally love to have personalized products. Personalization is especially appreciated when it is applied to a gift. 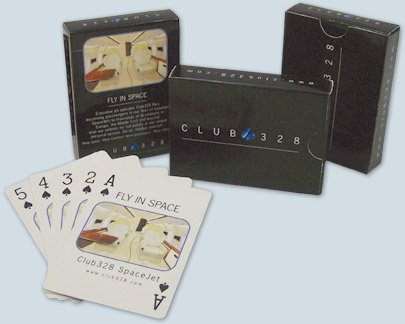 Imagine the potential leads developed and sales generated by including special offers through playing cards.